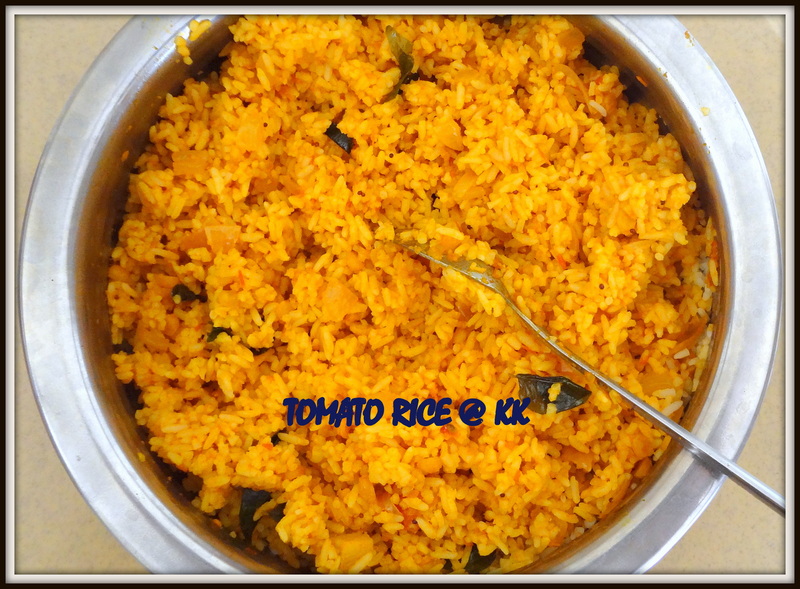 The most preferred recipe among variety rice types by me is tomato rice. There are many ways in which it can be made. I am posting one such today. 2. Add the tomatoes in boiling water and let them boil until the skin splits. 3.Cool the tomatoes and peel the skin. 5.Ina kadai heat oil and temper with the above mentioned items. 6.When tempering is done,add the chopped onion and garlic and saute until they become soft. 8.Add salt and red chilly powder and sprinkle some water. 9.Let it boil and turn into a thick paste perfect enough to mix with rice. 10.Cool the mix and add it to the rice. 11.Mix it evenly and garnish with coriander leaves. The rice should be non sticky.So add water accordingly when you boil rice. The oil will float above when the paste thickens.Stop cooking at that point. You can also add turmeric powder and a pinch of hing in step 6. 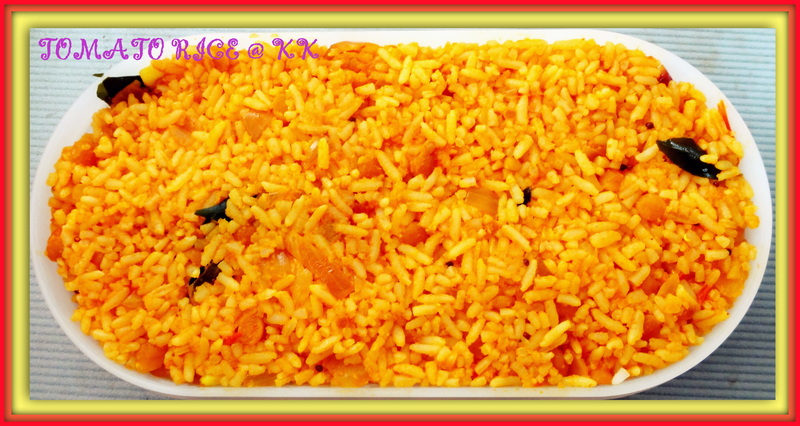 I am not passionate about cooking but tomato rice is a dish I would like to try preparing. I have a question why to boil the tomatoes and peel off the skin before grinding? Is there a problem if we grind the tomatoes straight away? Thanks for visiting my blog.If you don’t peel the skin before grinding ,they come out as tiny pieces when you eat. I ensure it doesn’t happen because my hubby prefers so. You can actually skip the step too.